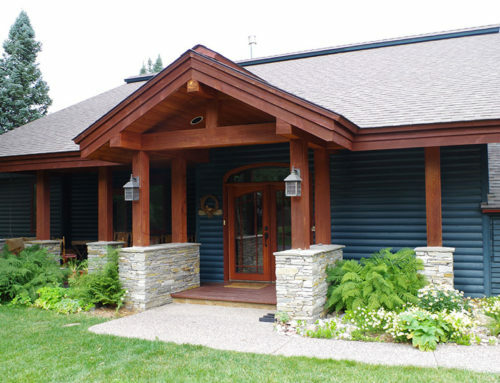 Long-time Summit County local Alisa Herbertz received a home energy assessment from High Country Conservation Center (HC3) just in the time for winter. The frigid weather was on its way in late 2015 when Alisa decided it was time to take action against her high energy bills. In addition, her charming Wellington Neighborhood home was not as comfortable as she would have liked. Several rooms were drafty, and the indoor temperature was inconsistent from room to room. 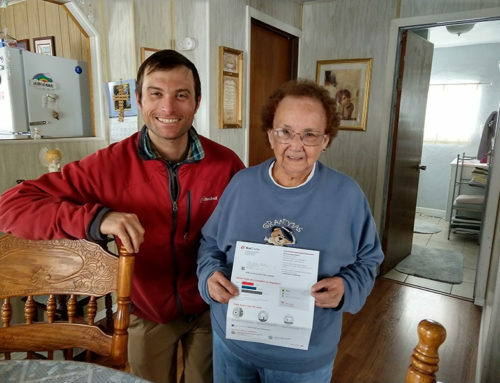 HC3’s Energy Programs Manager Cody Jensen completed the energy assessment for Alisa and helped her to understand which projects would have the biggest impact on her energy bills while also staying within her budget. Alisa decided to improve the insulation in her attic, replace leaky recessed lighting with new, air-tight ultra-efficient LED fixtures, and then seal up pesky air leaks throughout her home. With project costs amounting to roughly $1,200, HC3 ensured that she would receive some rebates for her efforts. Kicking in a rebate funded by the Town of Breckenridge, HC3 awarded Alisa $400. Additionally, she received $365 in additional rebate funds from Xcel Energy. All told, over half of Alisa’s project cost was covered by rebates. With an estimated annual savings of roughly $400, Alisa broke even after just a year.